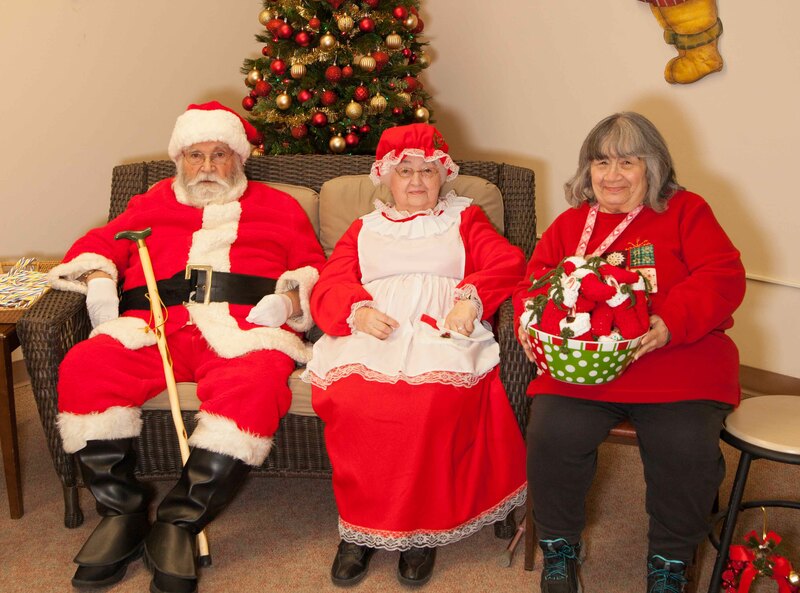 The residents of Lakeview Towers opened their doors to grandchildren and the children of the Plattsburgh Housing Authority on December 7, 2013, as Santa and Mrs. Claus stopped by for a visit. The senior residents had cupcakes, cookies, donuts and hot chocolate for all of the guests. 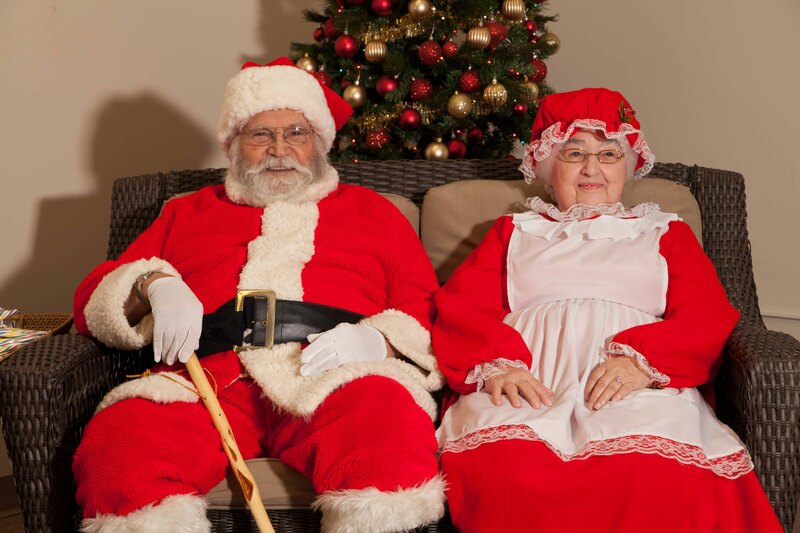 The community room at Lakeview Towers was filled with people eager to spread holiday cheer. The children, aside from having the opportunity to express their holiday wishes, also had their picture taken with jolly old St. Nick. The Plattsburgh Housing Authority arranged for a photographer to attend and provide photographs for the children and their families. Each child was also given a hand-knit stocking filled with chocolates and a candy cane. The stockings were crafted by a resident, Ramona Soder. During the holiday event a group of carolers came from the Plattsburgh Church of the Nazarene and performed several songs to add to the delight of those in attendance. The event was very successful. Dozens of children, from infants to early teens, were in attendance. The Plattsburgh Housing Authority would like to thank Wilfred Gonyea, Elizabeth Mooney, Ramona Soder, Julie Walters, Elizabeth Irachetta, Nicole LaFrance, Clayton Morris and the residents of Russell H Barnard Apartments and Lakeview Towers for their efforts in coordinating this wonderful opportunity and ensuring its success.